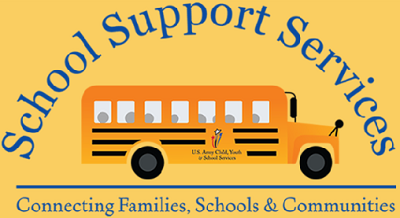 School Liaison Officers (SLOs) are the point of contact on an installation for all things school-related, and assist families whose children’s education may be affected by military life. They can be a great resource for Parent Centers! School Liaison Officers are civilians who are contracted through each branch of service to provide School Support Services. They are familiar with the unique aspects of military life that can have an effect on a student’s education. They help to build partnerships between military families, installations, and schools and act as the Installation’s point of contact for all things school related. They can provide assistance to relocating families and act as an advocate for military connected students. Depending on the branch of service, School Liaison Officers may also be called a Family Resource Specialist or Point of Contact (POC). What does a School Liaison Officer do? The role of the SLO is to provide information, resources, and referrals to military families. SLOs provide school transition assistance and act as a support during deployments. They can provide support to families as they navigate the special education system. Since a School Liaison Officer is usually familiar with the military connected students in their area and with the challenges they are facing in their local school districts, they can be a great resource for Parent Centers. School Liaison Officers can also provide information and assistance to military families who choose to homeschool or to enroll in private, charter or online schools. The responsibilities of the School Liaison Officer can vary based on the branch of service, and on the installation itself. For example, on one installation the school liaison officer may attend IEP meetings with the family, while on another installation they might not be able to attend meetings; however, they will give advice and review the IEP with the family separately. Both installations are supporting the family during the IEP process, yet that support may be provided in a different way. Where can I find a School Liaison Officer? School Liaison Officers can be found at most major military installations. You can find contact information for the military installations near your parent center by using our Interactive Maps. We have also included links to the directories for School Liaison Officers for each branch of service. If you would like help getting in touch with a School Liaison Officer, Contact us!